I have no doubt that learning to drive with Paul and LDC was the best choice I could have made for driving. The standard of teaching was all I could have hoped for, with the use of the workbook and well structured lessons making learning an easy and very enjoyable experience. Paul was the perfect teacher for me providing support and making me feel comfortable and safe when driving, gaining as much as possible from each lesson without cutting any corners. Driving with Paul has taught me to be calm and comfortable on the road and provided me with all skills possible for ensuring myself and others safety when driving. Paul has been supportive and positive throughout my whole driving experience and I could not thank him enough for all his time and efforts - I couldn't have done it without his help. 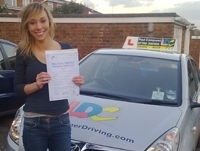 I now feel prepared for a safe lifetime of driving and am so grateful to Paul for providing this, and would recommend Paul and the LDC method to anyone learning to drive. Thank you! 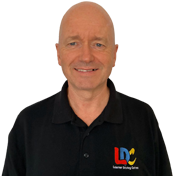 I'm a driving instructor in Mid-Sussex including Haywards Heath, Burgess Hill, Hassocks, Lindfield, Ardingly, Scaynes Hill and Crawley..